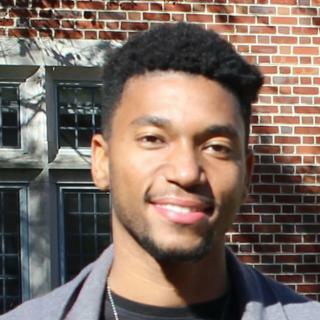 Bonner Scholar Andrew Talbot, ’15, majored in Arabic studies and international studies. 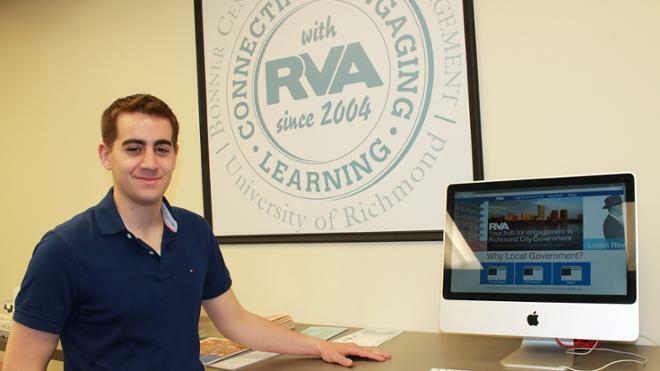 He made the following remarks on April 1, 2015, during the annual Bonner Scholars Presentations of Learning, sharing what he had learned during his three years of service at UR Downtown, the University of Richmond’s downtown campus located at 7th and Broad streets. Let me be clear: I am not the Ancient Mariner, nor am I the survivor of any genocide (as Primo Levi was). I am the audience: the reader, the listener, the viewer. I can only retell the story. Fortunately, I have never witnessed any considerable hardship. I have never been forced out of my own country. I have never slept hungry. I have never felt violated. The survivor and witness bear scars of inhumanity. As the reader, I only hold the lesser burden of my awareness of membership and complicity in an unequal society, or a society that allows such inhumane acts to occur. Nevertheless, I stand here in front of you and I have your attention. So, I will share a small part of my own story. If I were to honestly summarize my life in a sentence, I would say as follows: I was born in the right place, and nothing got in my way after that. My trouble-free story starts to feel strange, though, when I listen to everyone else’s. I want to spend the rest of these ten minutes talking about stories, and the value of listening to them. I do want to clarify, though, that listening does not replace action, rather the two must go hand in hand. My name is Andrew Talbot. I am here because I am a graduating Bonner Scholar. However, I was not a Bonner Scholar when I entered this university as a first-year. I had never even heard of the Bonner Scholars Program, nor would I have qualified for acceptance to the program. I literally did nothing for my community throughout high school – I am not particularly proud of this. College, however, was my chance to change. So, I began a federal-work-study job at UR Downtown, which is basically UR’s community-oriented campus in downtown Richmond. I figured that I needed to work, but I also wanted community engagement. I will come back to the topic of UR Downtown in a moment. During my first year, I also participated in two short, but profound programs: EnVision, through the Office of Common Ground (a department which I owe a great deal of gratitude); and alternative break trip Students Engaging and Enacting a Dialogue on Service (SEEDS). These two programs changed my life in countless and enormous ways. I still vividly remember the activities from EnVision. I remember sitting in front of another person, whom I did not know beforehand, listening to their life experiences, and for the first time, sharing my life experiences. The activities at EnVision not only revealed my own privilege, but also the physical and emotional trauma carried by my peers. Never before had I really known the magnitude and weight of issues that I previously understood as merely abstract. “I walked into UR Downtown a couple of Fridays ago, and awaiting me were boxes full of art. UR Downtown was about to open a new exhibition with art provided by the YWCA and created by women surviving and recovering from sexual and domestic violence. I pulled these works of art out of their boxes one by one and looked carefully at each. ... I found myself trying to imagine what drove each artist to create her work. Some works exaggerated hands, others scars, but all of them seemed to depict the haunting emotions that have lingered for years and years. “My boss, Alexandra Byrum, assigned me the job of retyping the artist narratives – the signs that accompany the works – because the old ones were dirtied and from a previous exhibition. So I sat with my computer and typed each narrative. Such a simple task, but I won’t forget it. I read each one carefully to ensure that I made no mistakes. Each narrative included the age of the artist when they became a victim of sexual or domestic violence. “One especially stood out, because following the words ‘age when I was sexually assaulted’ were the numbers: 2, 7, 8, 10, 11, 12, 19, 20, 21, 22, and 24. At first, they just seem like numbers. But, she is not Fibonacci. Think about each individual case. What is it like being sexually assaulted at the age of two? Or even seven? Eight? Again at 10? 11? 12? You think: well, finally a break between 12 and 19, but I’m sure the memories, trauma, and nightmares do not give you a break. 19, 20, 21, 22, 24. I just cannot fathom this life – or might it be a nightmare. And then think: it was most certainly not just one time when she was each age. 2 years old, how many times? When she was 7, how many times? 8, how many times? How many times when she was 10? 11, how many times? 12 years old, how many times? How many times at 19? 20? 21, how many then? 22? 24, how many times? It must seem endless. It must be unbearable. “The artist of this work writes in her narrative, ‘My sexual abuse started at an early age and then I was repeatedly sexually assaulted in the military. I couldn’t understand why this kept happening to me, but I started to understand why someone could commit suicide; it was the only thing I had control over.’"
Before moving on from this quote, I just want to recognize that this artist created her work at the age of 47, meaning she did not commit suicide, but rather she chose the difficult path toward recovery. Her story is both heartbreaking and inspiring. Working at UR Downtown mixed moments like this with so much other profound and diverse work. For the sake of time, however, and to remain focused on my main point, I will not delve into all this different work. You might be thinking, though, that UR Downtown is just the campus bubble transplanted into downtown Richmond. “At UR Downtown ... we are pleased to have an exhibit curated by The Community Voice. The Community Voice’s exhibit gives voice to those who struggle to get the medical treatment they need due to a handicap or other obstacles. The exhibit is eye opening, shedding light on an issue I am sure not many people give much thought. I was able to see the exhibit during First Fridays. However, the content of the exhibit did not really hit me until afterwards…. “I started on my way to the GRTC bus stop after seeing the exhibit. As soon as I crossed the street from UR Downtown, there was a man in a non-motorized wheelchair, in the middle of the road, even though the light had already turned green. He struggled so much to get across the street but advanced only minimally. Obviously, I could not watch this man struggle as he moved so incrementally toward wherever he was going. 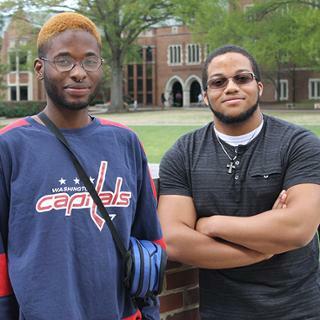 “I asked him if he wanted me to take him anywhere, and he responded that he needed to get to the bus stop a few blocks down. So, I walked him to the bus stop. He did not seem to have the strength in his arms to wheel himself at all. Instead, he relied on thrusts of his whole body, kicking his legs to the ground to move a short, insufficient distance. We have a great campus, but it mutes much of the problems our city faces—not completely, but there is a large degree of difference. UR Downtown and the Bonner Center for Civic Engagement can get us back in touch with this city and offer experiences that make stories real. I think all of us in this room recognize the great work the Bonner Center and its staff do, and I am proud to have worked alongside many of them. Nevertheless, I do want to turn our attention toward campus before I finish. The quote I began this presentation with was actually meant to describe someone on campus. Some of the most heart-breaking and inspiring stories I’ve come across have come from the staff who keep this university running. The many stories people at RRIS and LTLT shared with me have left an indelible mark. It certainly begs a question that I never asked myself before my junior year: Do you know where the person who cleans your office or dorm comes from or what they have been through? In many cases, the answer might be much more profound than you expected. Like I said in the beginning, though, I am fortunate enough not to have a traumatic experience to share with you. For now, I am privileged and fortunate enough that I am just the audience – the listener. But I want to stress the importance of the listener’s story. The Ancient Mariner needs someone to listen. The survivor of a genocide needs someone to listen. The victim of any social ill needs society to listen.